This is an account of how a radio project evolved into something different then what was intended. It's merely presented for your entertainment. I don't recommend you build this set, it doesn't work all that well for the amount of work involved, though it is fun to operate and is extremely selective if you don't use a ground connection. 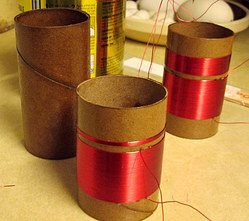 If you want to build a set, look at the Ferret Ferrite pages on this site. The experimental Tuned Radio Frequency receiver. 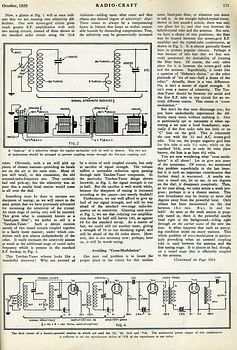 Some time in 2012 I obtained a copy of the October 1929 issue of Radio Craft Magazine. It was purchased on ebay, strictly for the cover. 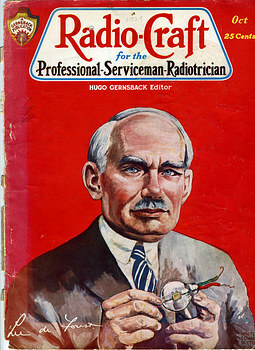 On the cover is Lee de Forest, the inventor of the triode vacuum tube. This simple device, named the "Audion", made modern electronics possible. 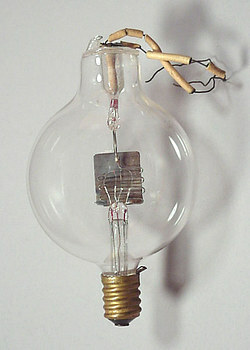 It was patented in February of 1908. Lee de Forest is holding his invention on the cover. On page 174 was found "The Cooperative Radio Laboratory" which was a monthly feature. On page 175 was an interesting schematic . 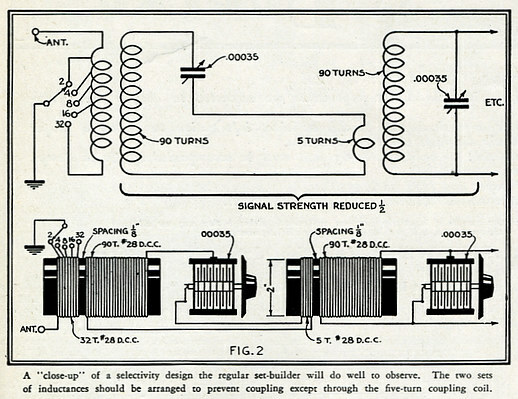 What interested me was the "TANDEM TUNER," but then I saw, right at the top center of the schematic, a crystal diode! This was a crystal set with radio frequency and audio amplifiers. I decided I'd build a modern version with transistors instead of vacuum tubes. It should be (have been) a piece of cake! The TANDEM TUNER. Notice, the article states, "a selectivity design the regular set builder will do well to observe." And that is exactly what I did. as opposed to the .00035 used in the article). I used 26 gauge wire. 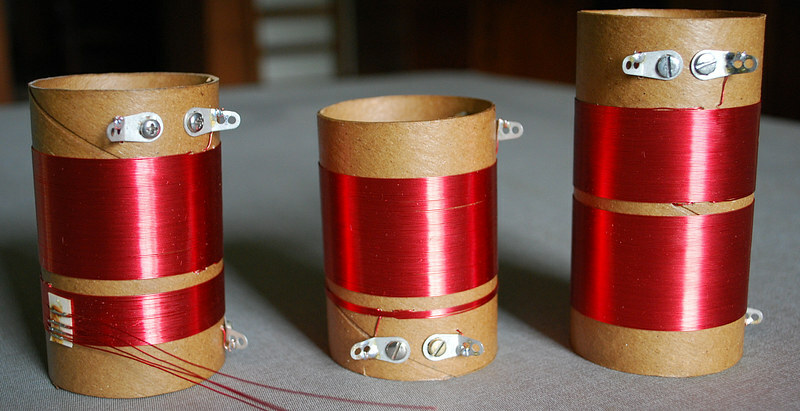 A team of Celestial Mechanics worked tirelessly day and night for a month to create these beautiful coils.